LoryStripes by Pixite LLC ($1.99, 13.3 MB): This artistic image editing tool makes it possible to add some focus flare to photos using 3-D stripes. With a little effort and time, these rippling ribbons can be strung, woven, and wrapped around you, others, or even inanimate objects, think car commercials. 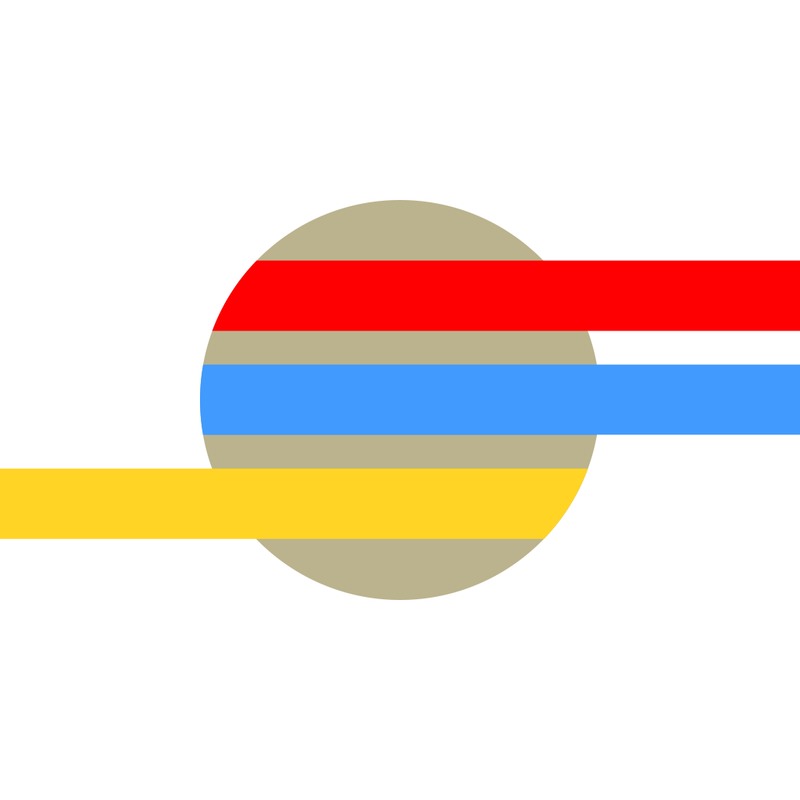 Packaged in a minimalistic flat UI, the four section studio features 40 single and grouped ribbon objects, including a few accompanying jets and other items, plus several gradient and transparency choices and adjustments, color picker, stripe painting and erasing for the weave effect, as well as one and two finger pan, position, and zoom control. 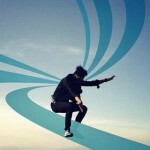 The app supports the iOS camera and camera roll, Twitter, Facebook, Instagram, and compatible third-party image apps for importing and sharing. 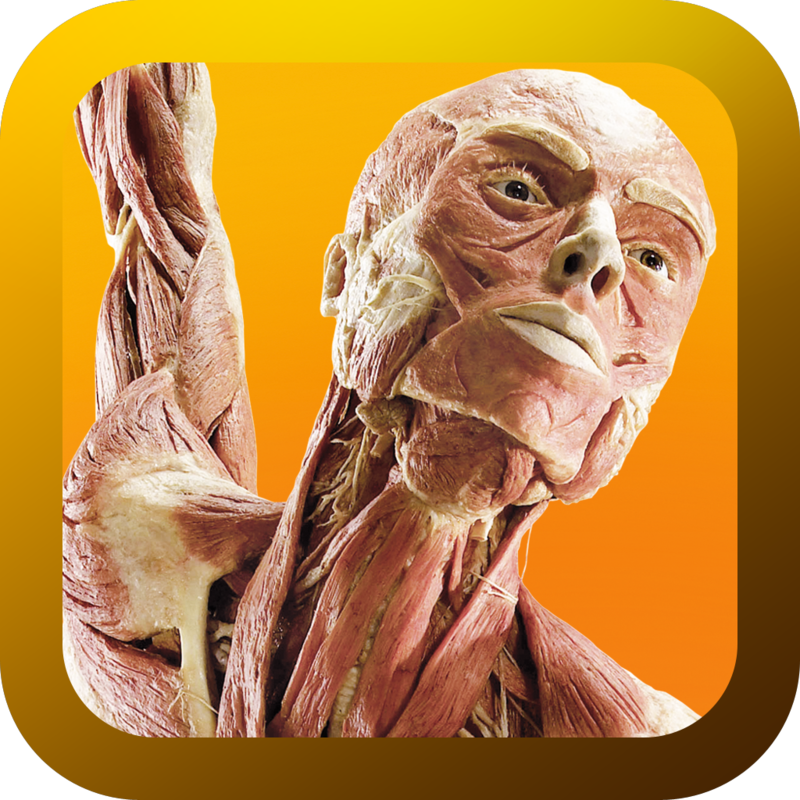 Under Your Skin: The Body Worlds App' by Sandbox Digital Playground, Inc. (Free, 22.4 MB): It may not be the traditional taste for the haunting holiday, however, this biology-themed photo booth does produce some eerily intriguing selfies. 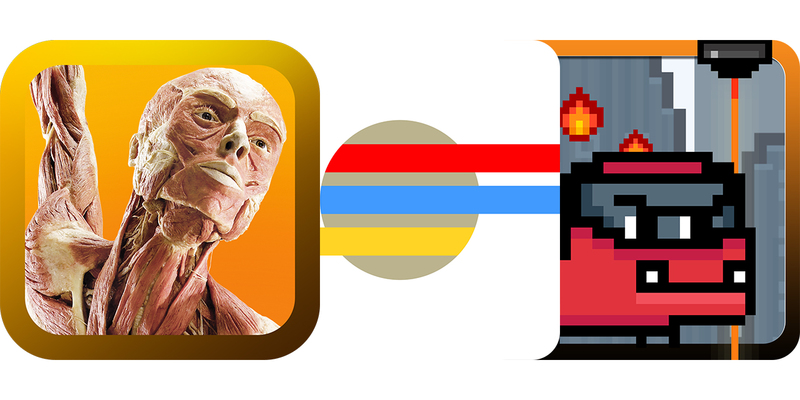 Sort of like a medical student training tool, but strictly for entertainment, the app does a type of peel away of your facial tissues, revealing different layers of muscle, flesh, bone, etc. Well, not actually. Obviously, the overlaid images are general, though they can appear quite realistic. Anyway, here's the quick and simple. Just snap a fresh mugshot or import one, identify your mouth and eyes using the adjustable grid, then browse the 11 different effects by tapping the top-screen arrows. 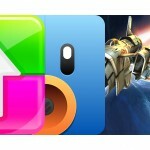 As a finisher, sharing buttons at the bottom allow saving to the camera, plus sharing via Twitter, Facebook, or email. Legend Dary: Classic by ParkPill ($0.99, 34.3 MB): Enjoy the old school challenges with this basic retro-style platformer. You command Dary, a heroic man who has been offered a prize princess if he can bring back the dragon's horn. Of course, that doesn't mean a quick stroll down the block. The quest spans far across the land, placing you face-to-face against dimwitted and dangerous creatures. Along the way, collect the coins, stars, and escape allowing key. 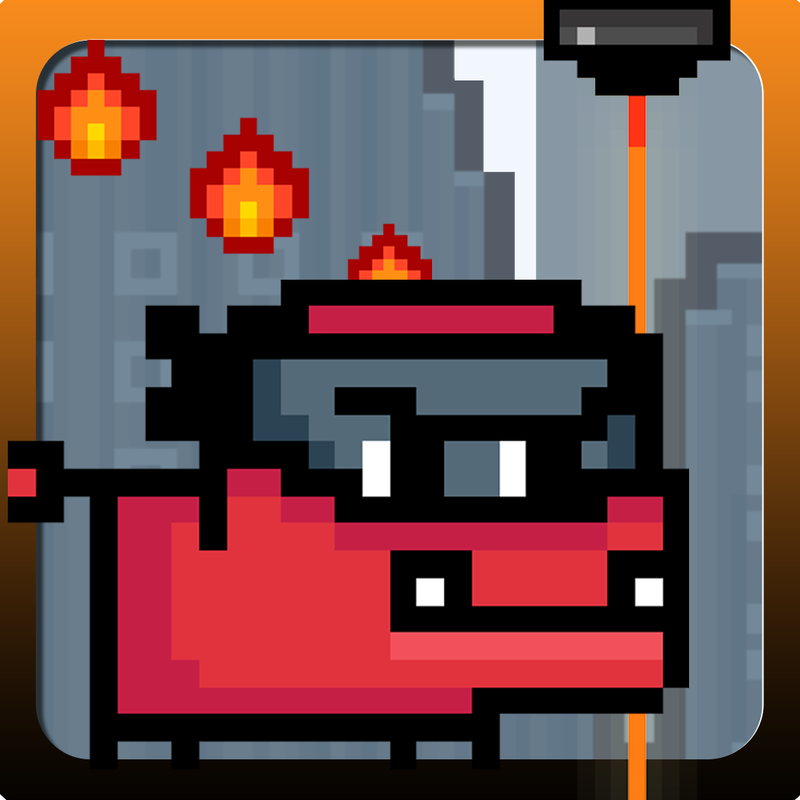 The game features pixelated 2-D graphics, chiptunes, gamepad-type dual-thumb and swipe controls, plus 36 stages, 15 standard and two boss enemies, 10 obstacle types, and two vehicular devices.